Understanding their eating patterns will help to spread new culinary experiences to established Canadians. Net migration to Canada is forecasted to grow at a rate of 14.6% over the next decade. 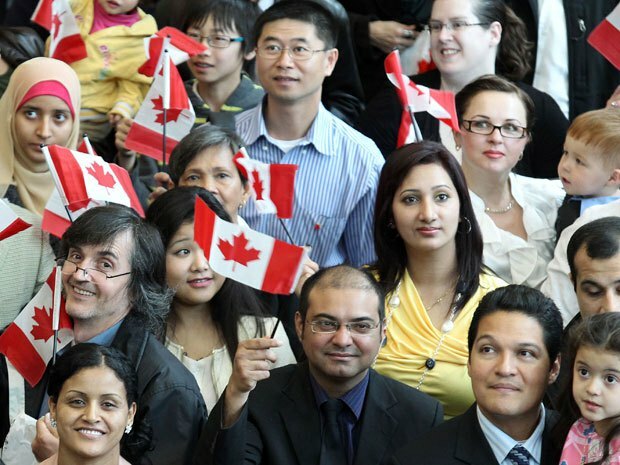 Given the impact of immigration on Canada’s population growth, a greater proportion of Canadians will be from a visible minority group in the future. Source: Statistics Canada (2010). Projections of the Diversity of the Canadian population 2006 to 2031. Canada’s three largest cities: Toronto, Vancouver and Montreal represent 34% percent of Canada’s total population, and 63% of the immigrant population. However, the higher growth rate of visible minorities in Canada as compared to these cities indicates that the impact of changing demographics in Canada will be felt beyond Canada’s largest cities. Newcomers are more likely to live in households with more people. Asian consumers are more likely to source and eat their meals at a restaurant (across all occasions), and they are more likely to carry their meals from home as compared to rest of the Canadians. Asian Canadians look for Oriental dishes when they eat outside of the home, but they also look for foods more typical to North Americans such as sandwiches and French fries. This suggests that the adoption of the behavior patterns of the surrounding culture (acculturation) might occur outside of the home in social situations. Fruits remain the top food eaten by all population groups. However, fruits that are considered “tropical” appeals to Asian consumers. Asians are more likely to choose pork, poultry and fish. An overall decline in beef consumption may suggests that Canada’s changing demographic profile has an influence on the proteins that Canadians eat. While Asian Canadians are more likely to skip breakfast, this population group skips fewer meals overall. It also shows that hot breakfasts such as eggs, pancakes and bacon have an appeal for this population group. Attitudes towards health among Asian consumers differ from the rest of the population. For instance, they are less likely to be overweight, less likely to be on a diet, and also less likely to consider people who are overweight attractive. Eating Patterns in Canada (EPIC), 14th Edition, NPD Group, 2011. This information published to the web on April 9, 2013. Last Reviewed/Revised on April 17, 2018.